Sometimes, there's a kind of magic in the air between the stage and the audience, when everyone knows they're in the presence of something truly special. Nobody could prove that more than the number-one hit maker Romeo Santos!! In support of his latest album “Golden,” he’s coming to the Oracle Arena on Friday 6th April 2018! Tickets are available now for this once-in-a-lifetime experience! Get yours quickly while you still can! Former frontman of the bachata band Aventura, which saw a number one hit single with their song "Obsesión" Santos has since forged a solo career that has seen him hit the no.1 spot on the charts seven times!! 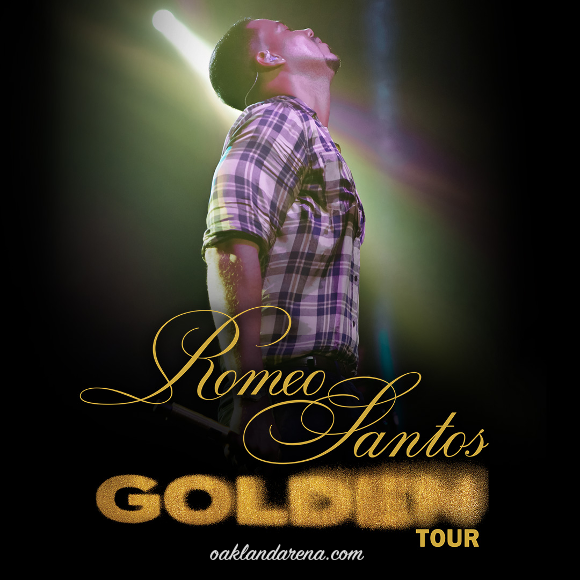 Don’t miss your chance to hear all the latest songs live = book your Romeo Santos tickets TODAY!